Don’t let the heat wipe you out! Beat the dog days of summer with these six fatigue busters including the NEW ZonePerfect® Revitalize for Mental Focus and more. Have you tried #5?? When it’s cold outside and the afternoon is wearing on me, I make a cup of coffee. It’s a no brainer. But when it’s 95 degrees out there and the humidity is nearing 100%? No, thank you. Instead, it’s time to get creative. Sure, sitting in front of the computer for hours on end can be draining. My eyes get weary, a headache starts to creep up, and my shoulders start to tense. Not unlike the feeling I get when I spend more than two hours with my three kids on any given day. However we spend our summer days, I’m sure you can relate. Here are six ideas to get a little energy back in your day. Have five minutes to spare? It’s time to make time for you so you can have the energy to make time for everyone and everything else! 1) Have a brain-boosting snack: I try my best to eat a healthy diet and get my exercise in, and I love a quick and easy snack that doesn’t drag me down. 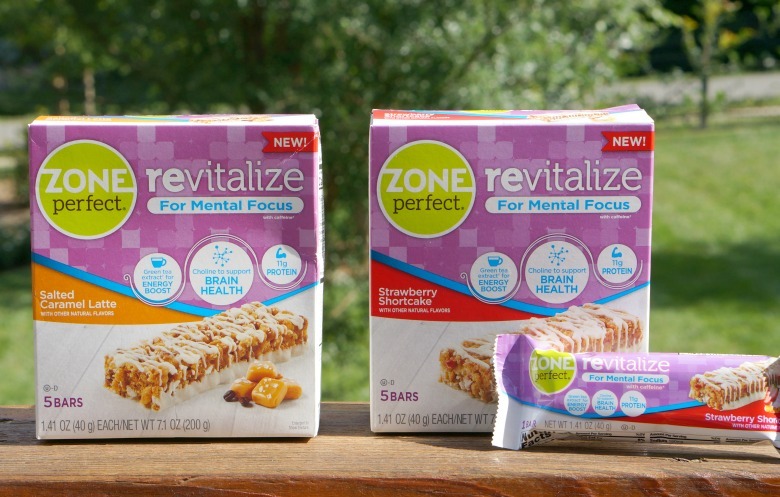 Which is why I’m totally digging the new ZonePerfect Revitalize for Mental Focus, found at Target. Available in three delicious flavors (Salted Caramel Latte, Strawberry Shortcake and Hot Chocolate Marshmallow), they contain green tea caffeine to increase mental sharpness and focus. My favorite flavor – the Strawberry Shortcake – also boasts 11g of protein, plus choline, a nutrient, to support brain health. 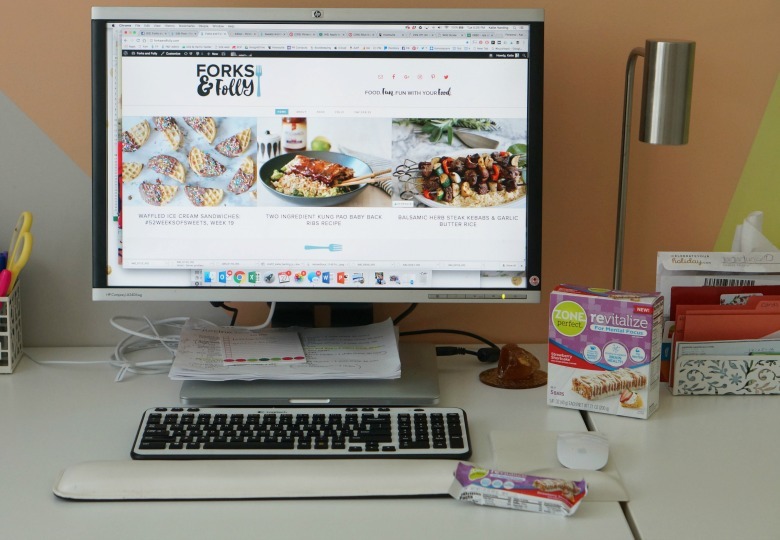 With only 170 calories, they are a lighter option to other nutritional bars I’ve leaned on in the past, and I’ve come to find that they are the perfect mid-afternoon slump-buster. Find ZonePerfect® Revitalize bars in lunbox aisle at Target, you can learn more here. 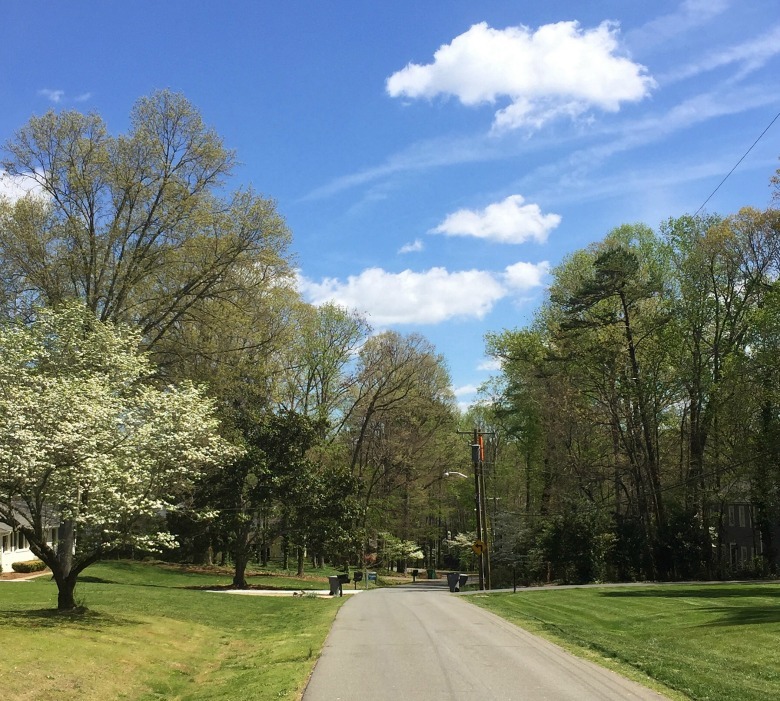 2) Get outside: It’s a bajillion degrees out there, so we’re not doing a 5k. I’m talking a walk-to-the-end-of-the-street or around-the-block jaunt. If you’ve been sitting for awhile, you’ll be amazed at what getting your heart pumping just a tad will do to get your brain going again. If it’s just too disgusting to go outside, run up and down the stairs a few times or do a few pushups! 3) Change activities: Been staring at the screen for too long? Need to take a break from playing entertainer and moderator for your children? 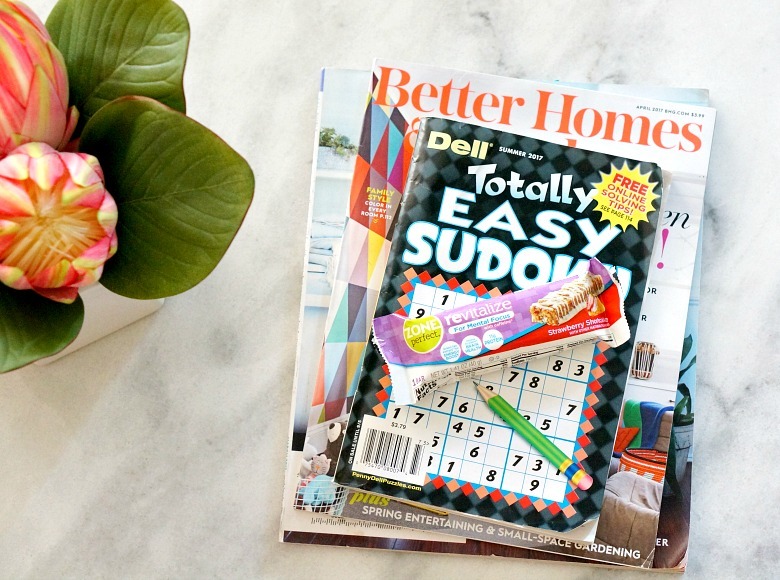 Put yourself in time-out and challenge yourself to a Sudoku puzzle, crossword, or word-search puzzle! Or, if you need a brain-break, give yourself five minutes to read a magazine! 4) Take a quick shower: It’s a common saying for a reason, when you have kids it’s down-right hard to find enough time to even take a shower. So, make it quick. And don’t worry about perfect hair for once. If you work at home, no one’s there to judge. And if you have kids, I promise you they don’t care. 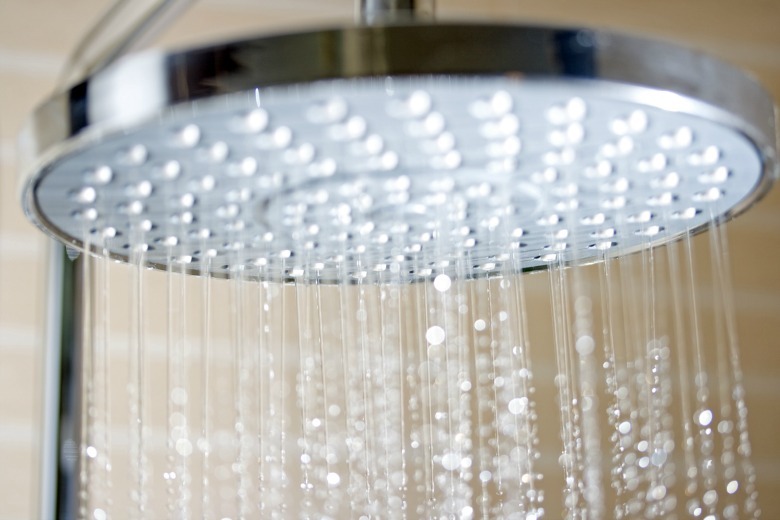 A quick cool shower will wake your mind up, plus it’ll feel great to keep your hair wet and cool for a little while after you get out. 5) Do brain warm-ups: There are soooo many apps available for smart-phones to keep your brain active! After a particularly mind-numbing and tiring day, try sprucing up your spirits with a few activities on your smart phone. 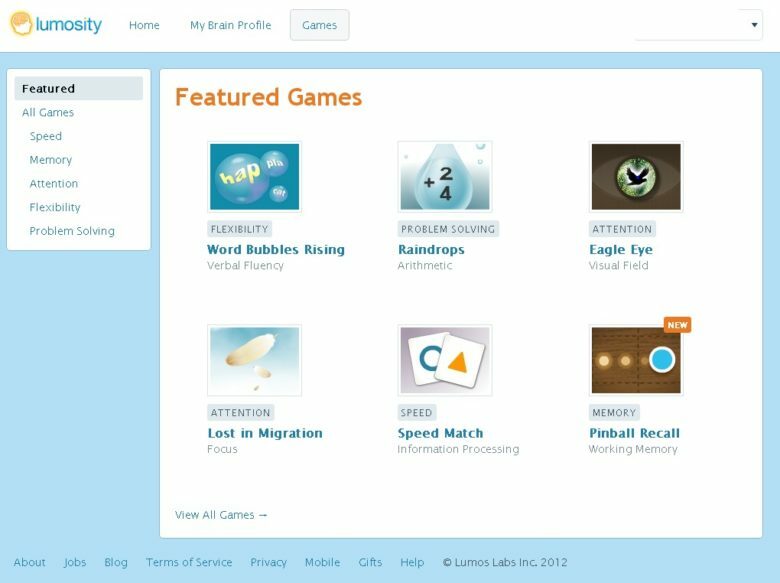 Apps such as Luminosity and CogniFit Brain Fitness charge an annual fee, but there are free apps as well. Check out Eidetic and Fit Brains Trainer to see if you like the concept before you buy! 6) Phone a friend: We’re not talking about texting, folks. It’s time for a good ol’ fashioned phone call. There’s nothing like an old friend and a good story to perk up the dreariest of days! Do you have anything to add to the list? 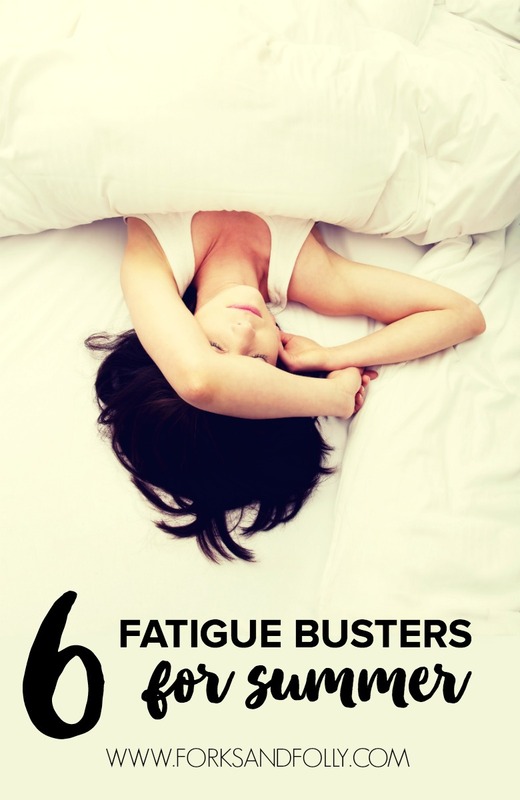 What fatigue busters would you add to the list?